On Aug 11-12, we attended Workshop on Big Data and Urban Informatics, with support from the National Science Foundation, held at the University of Illinois at Chicago (UIC). We presented our work on combining physical and participatory sensing in urban mobility networks. It is very important to understand human mobility and activity patterns in urban environments. In smart traffic control systems, abundant traffic flow data could be collected over time by physical sensing. However, each controlled region only covers a small area, and there is no user information in the data. The rapid rise of location-based services provides another opportunity to achieve the information of human mobility, in the form of participatory sensing, where users can share their digital footprints (i.e., checkins) at different geo-locations (i.e., venues) with timestamps. These checkins provide a broad citywide coverage, but the instant number of checkins in urban areas is still limited. 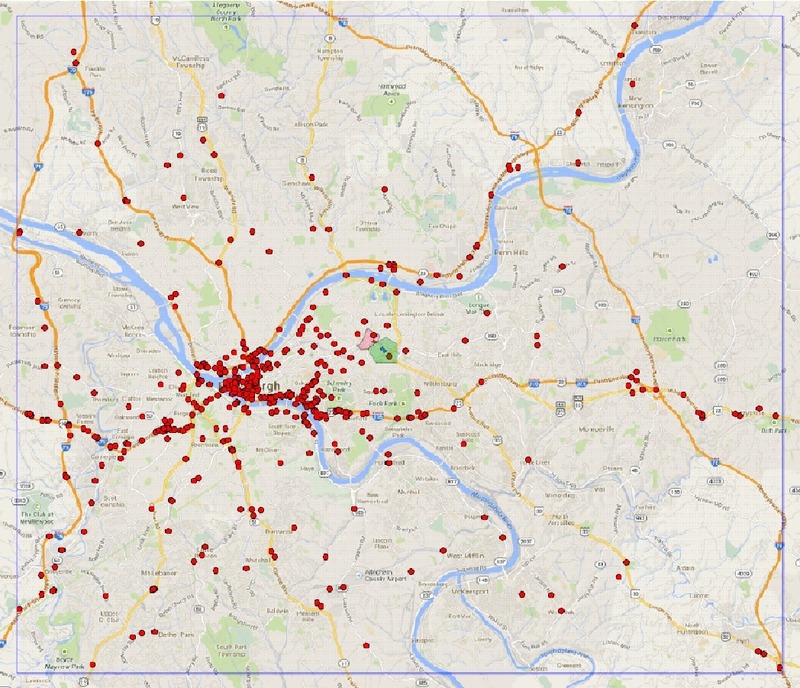 In this study, we focus on exploring the potentials of combining physical and participatory sensing data in urban mobility networks, based on 3.4 million checkins collected in the Pittsburgh metropolitan area, and 125 million vehicle records collected in a sub-area controlled by the SURTRAC adaptive traffic control system. First we display the spacial and temporal characteristics of the sensing data. Next, we perform user checkin statistics to reveal the distribution of user behaviors, and study entropy and regularity by cluster analysis to show a strong time-dependent predictability in human mobility patterns. 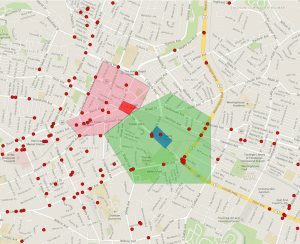 Finally, we illustrate some potential usages of the sensing data in urban mobility applications, e.g., finding reasons in anomaly traffic detection, disclosing nontrivial traffic-related information in topic-specific checkins, and providing traffic origin and destination patterns based on transitions between user checkins. This work provides some essential supports for improving urban mobility. Xiao-Feng Xie, Zun-Jing Wang. Combining physical and participatory sensing in urban mobility networks. Workshop on Big Data and Urban Informatics (BDUIC), Chicago, IL, USA, 2014: 859-876.